Markham Regional Water Treatment Plant (WTP) Upgrades | Wharton Smith, Inc. The Markham Regional Water Treatment Plant (WTP) in Seminole County recently received a major upgrade as part of the county’s initiative to ensure compliance with the U.S. Environmental Protection Agency’s regulations designed to improve drinking water quality and provide protection from disinfection byproducts. 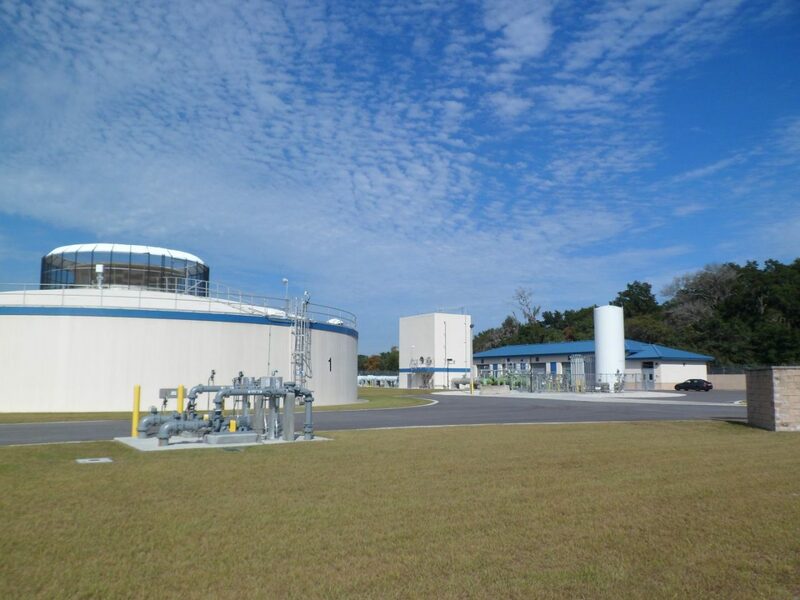 The project added ozone treatment, ion exchange treatment, new sodium hypochlorite and sodium hydrofluosilicic systems, a new operations building, a new equipment building, a new 1.5 million gallon ground storage tank, two new vertical turbine high service pumps, emergency generators, improved electrical, instrumentations and controls, and supervisory control and data acquisition (SCADA). 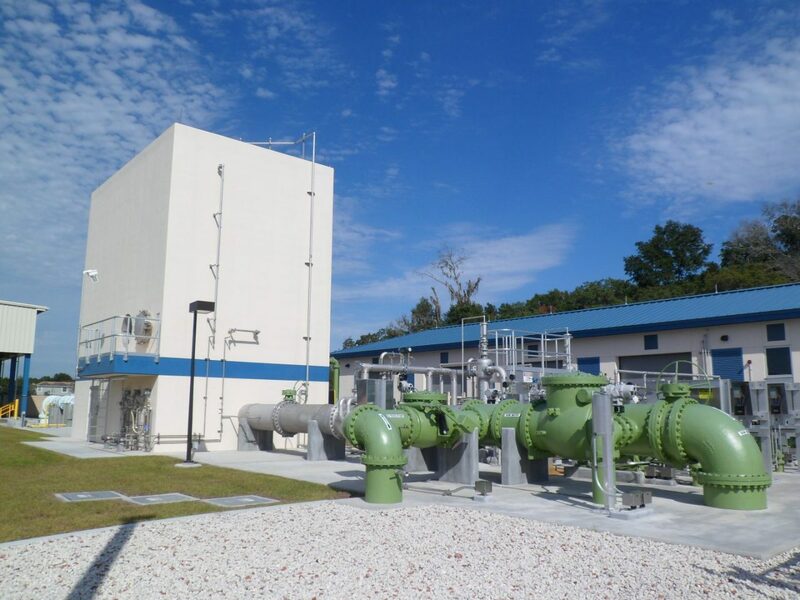 Careful coordination with plant operators and engineers were required to complete the complex upgrades while maintaining functionality of the existing plant. 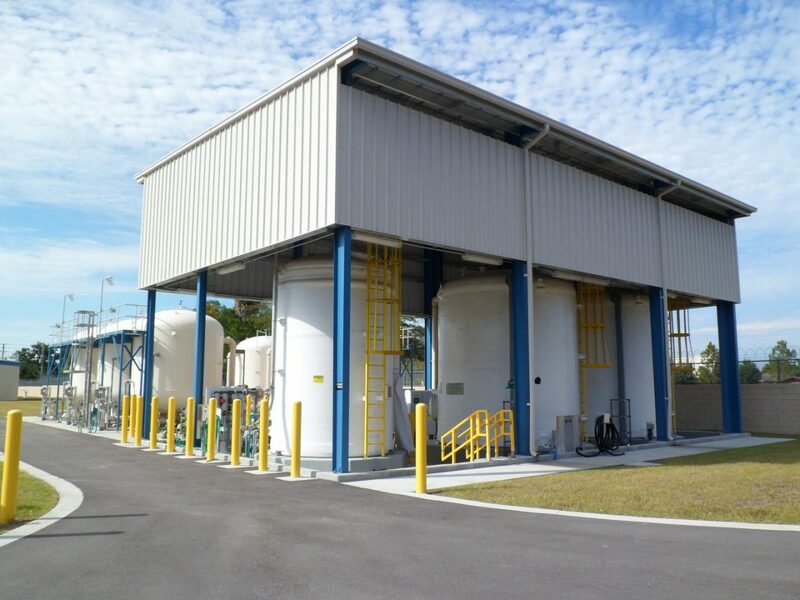 Construction of the 3,695-square-foot Operations Building met strict guidelines regarding design, construction materials, methods and testing and was certified by the Florida Green Building Coalition as a Green Commercial Building. Wharton-Smith self-performed 60% of the construction work.